Legget, Robert F.. "Simon James Dawson". The Canadian Encyclopedia, 04 March 2015, Historica Canada. https://www.thecanadianencyclopedia.ca/en/article/simon-james-dawson. Accessed 25 April 2019. Simon James Dawson, surveyor, engineer, legislator (b at Redhaven, Scot 1820; d at Ottawa 20 Nov 1902). After immigrating to Canada, Dawson was engaged initially on surveys in Québec but by April 1858 was surveying the rough country between Lake Superior and the Red River. In 1868 he was asked to construct the line of communication proposed in his 1859 report of that survey. Work on what came to be known as the DAWSON ROAD, which involved the use of lakes and portage trails, was well advanced when, in 1870, he was ordered to assist in transporting the RED RIVER EXPEDITION along the still incomplete &QUOT;road.&QUOT; The route remained in use until the opening of the CPR. 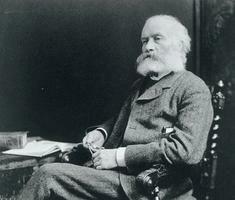 Dawson was elected to the Ontario legislature in 1874 and to the House of Commons in 1878, where he served until 1891.